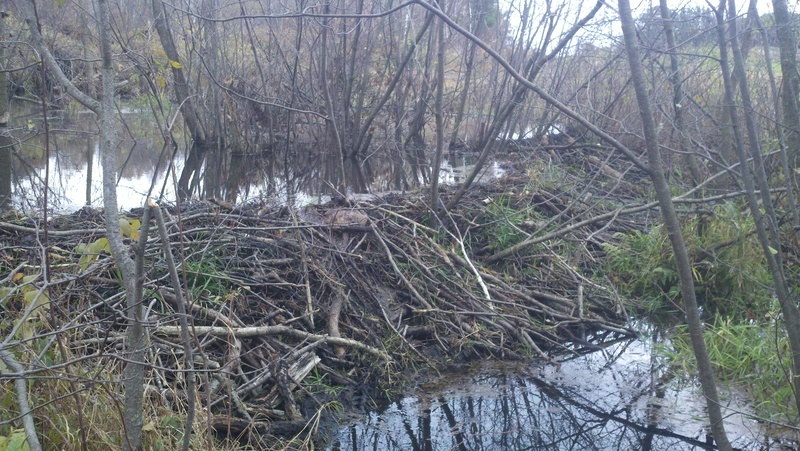 We have a beaver dam in our woods/swamp. Unfortunately they are flooding parts of two fields so we are trapping them, and then we will put a hole in their damn so that it drains out. It is pretty impressive. Roughly 4 feet high and probably 70-80 feet long. They also have two smaller dams down stream from this main one. 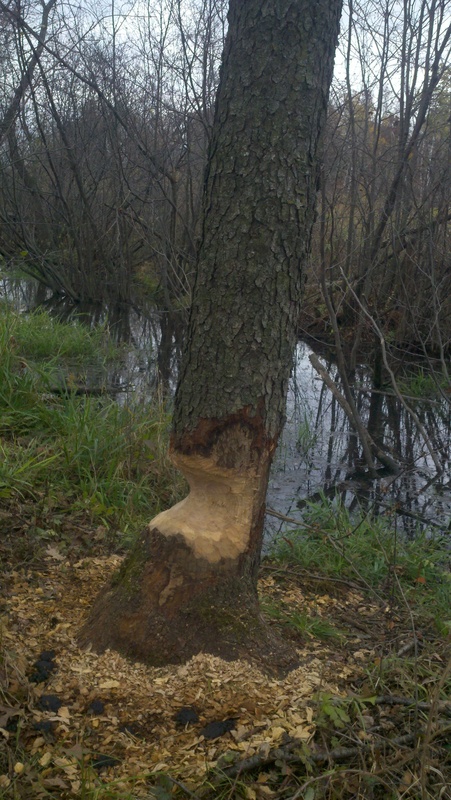 One of the larger trees that the beavers have been working on. Pretty neat to see how they can expertly fall trees right across the creek. This young eagle has been hanging around the farm. He/she likes to check the maternity pasture for yummy cow cleanings. We always assumed it was a Bald Eagle because we see lots of those around here, and know of one nest quite near by. 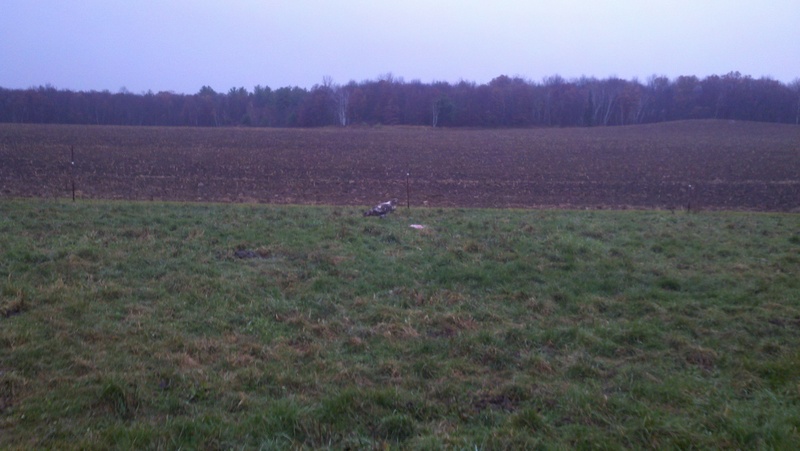 However, my Mom thinks this one may actually be a Golden Eagle. Anyway, he is quite large and not very scared of people! I walked to within 25 feet of him before he flew away! Cows don’t seem to bother it either, as I watched him just hopping out-of-the-way if they got within a couple of feet of him. This entry was posted in Animals, Off Topic, Wildlife and tagged beaver dam, beavers, Eagles, farm, farming, Wildlife. Bookmark the permalink.